This is another very good frozen Indian box lunch from TJ. It’s not up to the standards of TJ’s Tikka Masala, but it’s still worth having one in the freezer for those odd mood moments. If you write back with any of your odd mood moments, keep it …. As I said at the beginning, there’s a nice bit of heat in this dish. There’s not enough to keep you up at night, so don’t worry too much. Slightly lacking are some of the other flavors found in good Indian food. I attribute most of the missing flavors, oddly enough, to the rice. There’s quite a bit of plain white rice in the dish. That’s not a bad thing in itself, but it tends to dilute some of the flavors in the sauce. But still, there’s enough sauce to overcome most of the rice. It might just be better with a little less rice or a different type of rice. 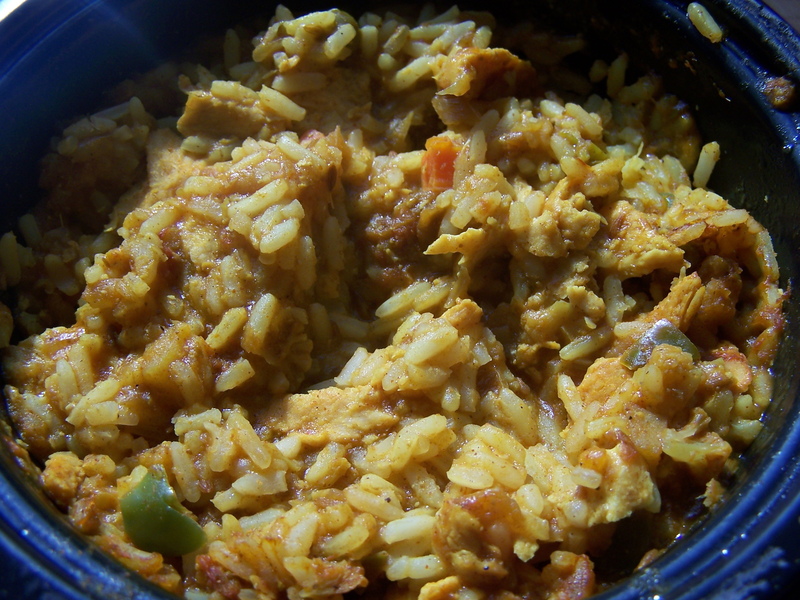 Separate out the bits of chicken from the rice and some of those other flavors pop right out in the chicken. By the way, there is a fair amount of chicken in the mix. Since I’ve purchased this numerous times in the past, and keep picking it up again and again, it’s probably worth a try by you. I have a feeling once you try it, you’ll also find a place for it in your freezer. Trust me, it tastes better than this picture looks. 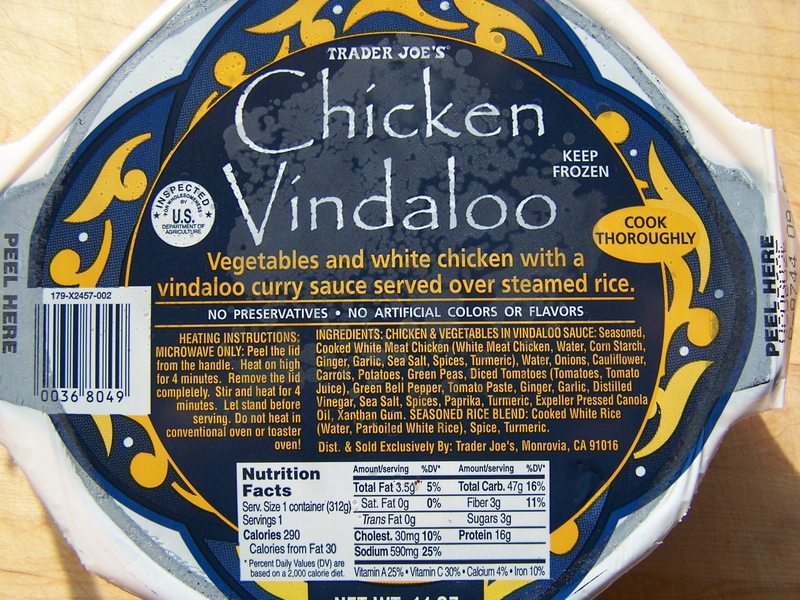 This entry was posted on 02/04/2011 at 10:00 and is filed under Recipes, food, cooking and related items, Trader Joe's. You can follow any responses to this entry through the RSS 2.0 feed. You can leave a response, or trackback from your own site.